This 65cm Viavito gym ball is suited to those seeking the ultimate in quality! Made from 1700g of high-grade, non-toxic PVC, this heavy-duty gym ball is the right size for users between 168cm (5'6") and 178cm (5'10") in height. To ensure the perfect fit, it’s supplied with a hand pump and a specially designed tape measure for correct inflation. Anti-burst rated at 500kg, this gym ball is suitable for use (indoors) in all homes as well as in professional studios. 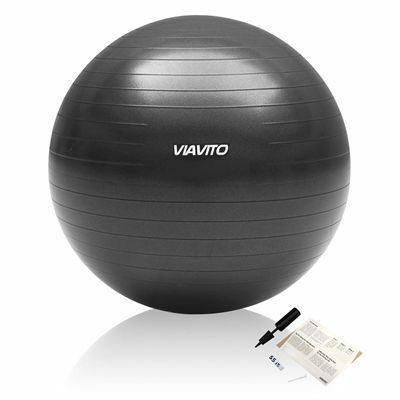 for submitting product information about Viavito 500kg Studio Anti-burst 65cm Gym Ball We aim to answer all questions within 2-3 days. 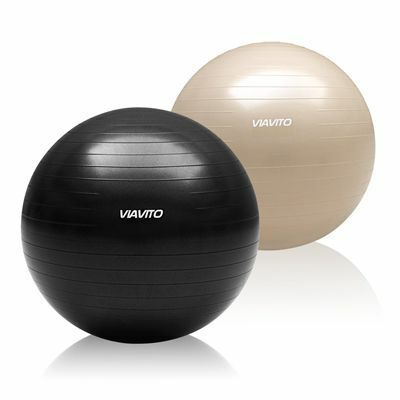 for submitting product information about Viavito 500kg Studio Anti-burst 65cm Gym Ball. We aim to answer all questions within 2-3 days. If you provided your name and email address, we will email you as soon as the answer is published. First gym ball I had that had instructions on how to properly inflate the ball (you pump it mostly but leave it a day, then finish pumping it up) - would add another star for just that. The ball itself seems quality. Would happily recommend. 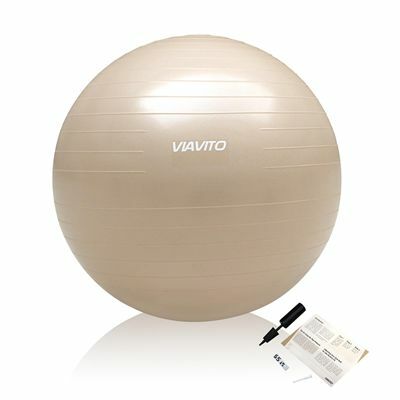 for submitting product review about Viavito 500kg Studio Anti-burst 65cm Gym Ball.